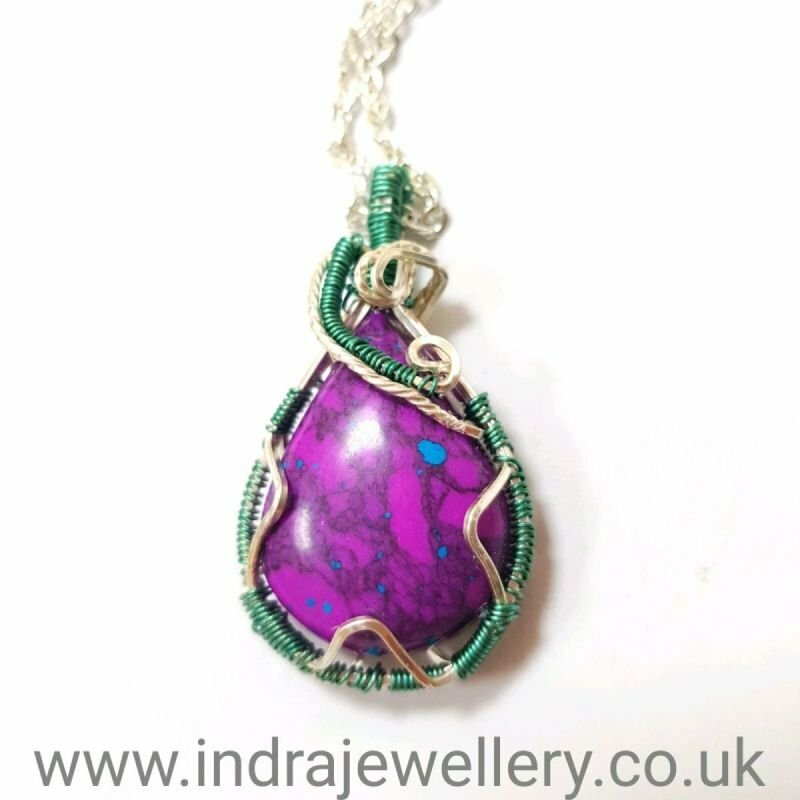 This is a very unusual mohave or mojave turquoise stone, it is predominately purple in colour with little blue flecks giving this stone a unique appearance! I have wire wrapped this gorgeous stone with 2 tone wire, a mix of silver and a turquoise green to make this stone stand out. I have added an 18" silver plated chain to finish this necklace off. I have added a penny in the third picture to give an idea of size.